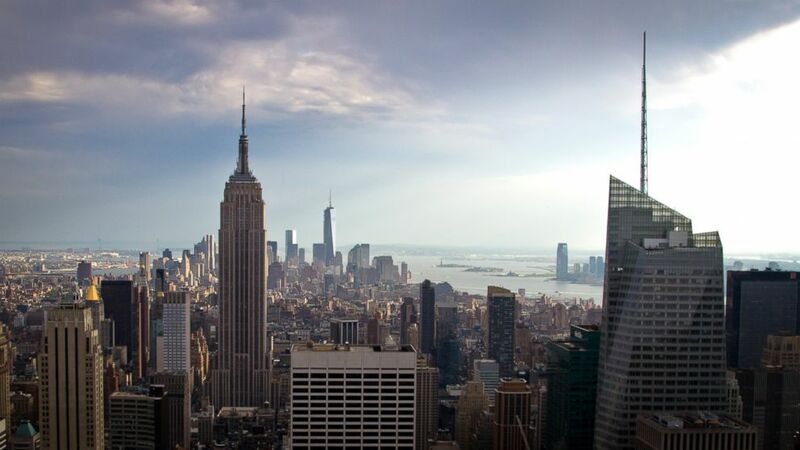 Thinking of hitting the Big Apple with the family? Here's where to go. camera (Getty Images) The New York skyline is seen in this undated file photo. Kids in high school barely remember 9/11; freshmen were just babies. Visiting the museum is not easy—museum officials recommend that kids be 11 to see the main exhibits but there are free art and activity programs for children starting at age 6 on Saturdays led by the teen ambassadors, with more planned for school breaks and summer. There is also guidance on teaching children about 9/11 and a special Museum Guide for Visitors with Children. Museum officials suggest encouraging kids to closely look at an artifact and ask “What do you notice?” Answer their questions with basic facts and be specific. The New York kids I interviewed for my Kid’s Guide to NYC -- one of my series of City Guides for Kids -- were old enough to remember 9/11 and, of course, have vivid memories of that day. “Some people say New York City isn’t a community but on 9/11, everyone was looking out for each other and trying to help,” said Amanda, who was 10 then. Today, New York is a top pick for families, attracting millions from around the world each year. They come for Broadway, for Times Square, for world-class museums (check out the special family and teen programs at the Metropolitan Museum of Art and the American Museum of Natural History), music, shopping and food. (A tip: If you plan to take in most major sites, consider CityPASS that saves you 40 percent on admission and enables you to cut the lines. Spread out in a Midtown suite hotel like Residence Inn by Marriott complete with kitchen and free breakfast or downtown at the upscale Conrad NY a block from the 9/11 Memorial Museum. Savvy traveling parents know the more input kids have in vacation planning, the more fun everyone will have. GET AROUND with public transportation like New York kids do. The 9/11 Memorial Museum: “It was the most impactful moment of my trip,” Christopher, 16, Los Angeles. A Broadway Show: “My most favorite fun memory of New York is seeing a Broadway play with my family.” Laura, 13, New Jersey. The view from the top of the Empire State Building is “my favorite thing in New York,” said Phillip, 17, from Sweden. Going to watch a New York team play: “My favorite part was the Brooklyn Nets game.” Thomas, 15, Washington, DC. The American Museum of Natural History: “So many cool things to see!” Enesi, 15, The Bronx. Central Park, where you can ice skate in winter, see concerts in summer and go to the zoo. “The polar bears are really cool!” Chris, 10, NYC. In Chinatown and the Lower East Side, shop for bargain purses and jewelry “and it’s fun to bargain,” said Colleen, 13, Long Island, N.Y. Anything “that says New York on it!” Jeremy, 17, Connecticut. Eileen Ogintz writes the syndicated column and website Taking the Kids and is the author of the nine Kids Guide books. Follow @TakingtheKids on Twitter and Facebook. This is the eighth in a series looking at major American cities from kids’ perspectives.